Have you or any of your family members inflicted by food poisoning? The infectious disease ‘food poisoning’ takes place by way of food contamination. 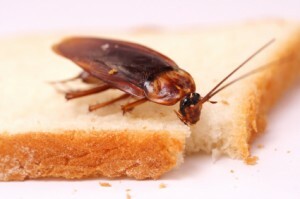 The nasty roaches crawl around the surface of your eating utensils, leaving a host of bacteria behind. Undoubtedly, roaches are one of the undesirable and unpleasant insect pests which pose a great danger to the health of human beings. The pesky creatures carry pathogens which are baleful for people’s health. The infections caused by roaches can lead to asthma and other allergic reactions. Whether it is a brown-banded cockroach, American cockroach, oriental cockroach, or any other species of roaches, the breeding of roaches at home can give rise to several life-threatening diseases. Screen around the cracks and gaps of your utility lines, doors, windows and sewer vents which make pests enter your living space. If your lawn or outdoor space is filled with shrubs and trees, you must make sure to chop them off from your surrounding areas to prevent the access of roaches. After your meals, you should wash dishes and eating utensils with dish cleaners and disinfectants in order to stave off from roach infections. Do not keep the leftover of food particles in the plates and bowls. Scrub the leftovers, dump it in a plastic bag and toss it in the trashcan. 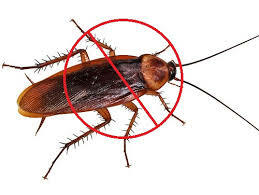 Call up the pest expert and seek bait placements, roach inspections, pesticide applications and several pest control services to eliminate the hazardous result caused by the malicious roaches. With the availability of bait programs, repellents and dynamic pest products catered by the proficient pest agency, you can take quick actions and best defense to fight against notorious roaches. Utilize the specialized roach treatments and advantageous tips to exterminate pests with ease.